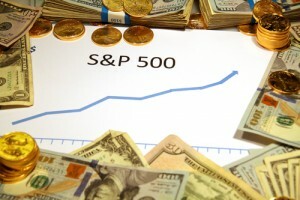 What is the S and P 500? S&P is short for Standard and Poor, which is a market research firm. The S&P 500 is basically the stock market index that tracks 500 of the most widely-held stocks on the New York Stock Exchange. It is a reflection of large cap companies’ risk and return. It also tracks the market capitalization of those companies, which represents the total shares of stock issued by each company. The S&P 500 has a total $10.7 trillion market cap. In 1896, a journalist named Charles Dow created the original index. He averaged the top 12 publicly traded companies’ stock prices by simply adding together all of their prices and then dividing them by the total number of stocks. That way, he could track the movement of the entire market, including the average movement of any stock that wasn’t included in his financial calculations. The first Standard & Poor stock index initially had its introduction in 1923, but the S&P 500 that we know today was actually started on March 4, 1957. Now, when investors refer to “the market” they are generally talking about the S&P 500 Index. The information that the S&P 500 provides for investors is calculated and distributed in real time and includes both value stocks and growth stocks. Now, every 15 seconds during trading sessions, the value of the index is updated and then disseminated by Reuters America, Inc. Today, the S&P 500 tracks more than 70 percent of all U.S. equity. Generally the majority of experts these days regard the S&P 500 as one of the top benchmarks available for judging the overall performance of the U.S. market. The majority of the companies that are in the index are either large cap corporations or solid mid-cap corporations. Some companies could be listed in more than just one index. In fact, a number of the largest S&P 500 companies are also listed in the Dow Jones Industrial Average. Leaving the S&P 500 usually involves a company’s market cap no longer being acceptable for the large-cap stock index. An example of this would be the recent replacement of JC Penney by Allegion in the S&P 500 when JC Penney shares dropped 55 percent in 2015, which left the retailer with a $2.7 billion market cap. When it comes to the S&P 500 index, size could matter. Major mutual fund companies, like Charles Schwab, Fidelity and Vanguard possess investors in large numbers, which gives them the availability of assets necessary for effectively managing the fund. This includes providing liquidity for meeting withdrawals by investors and buying holdings’ shares. On the other hand, an index fund that only has low asset amounts could encounter difficulties when trying to keep their portfolio suitably weighted to the index. The CBOE stands for the Chicago Board Options Exchange and it is the biggest options exchange in the world, as well as the leader in trading volume, options education and product innovation. Its SPX products give investors a variety of methods for efficiently gaining exposure to the market in the U.S. plus the ability to implement income generating strategies, asset allocation, hedging and risk management. S&P futures and CNN stock futures give buyers the opportunity to buy a basket of stocks upon their expiration date. They are utilized by mainly institutional investors because they are priced at 250 times the index. S&P futures and CNN futures are traded in Chicago for a half hour longer than the close of the exchange in New York. And, they actually continue to trade even after they close in Chicago in after-hours trading via CME Globex trading. Today, the S&P 500 has evolved into an economic indicator of the overall wellness of the US economy. Investors tend to buy stocks when they have confidence in the economy. A number of financial experts believe that the stock market is often a prediction of what savvy investors see the economy doing as far out as six months down the road.